After giving thought and thoroughly planning everything related to your presentation’s organization (Part I – Preparation for the meeting and planning beforehand) and determining the presentation content (Part 2 – Presentation content) it is time to address the actual presentation of your content. Here are some useful advices to keep in mind during the presentation. Beginning – start by building trust between yourself and the audience. 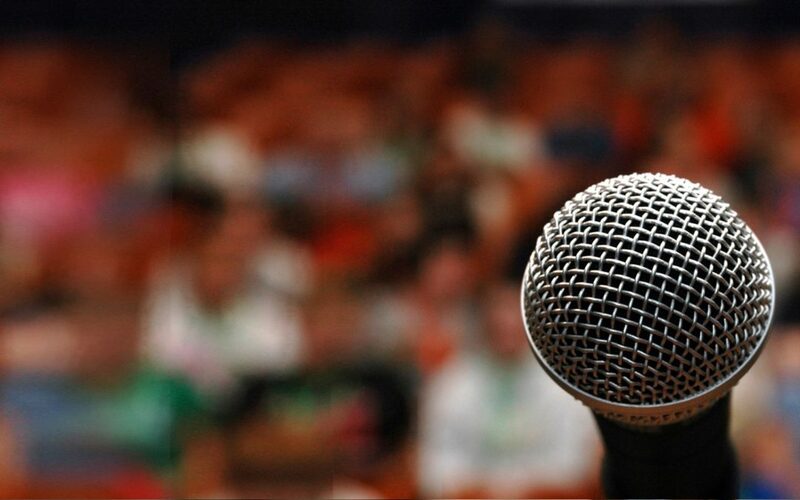 Introduce yourself and the topic you will be addressing.Introduce the goal of the presentation and your expected outcome.Announce your expected timeframe.Establish your qualification relevant to the topic – why are you there and why does the audience have to listen to what you are saying? Do not underestimate these steps as practice shows that there will be situations where the people attending the meeting have been put on the spot by their manager and have been notified that they need to attend only 15 minutes earlier. This should not discourage you if you are properly prepared. Interacting with the audience – engage your audience right away and prepare “icebreaker” techniques at hand, they will help you create a more pleasant and conductive environment. Such techniques are normally used in cases where your event calls for more efficient and comfortable interaction among the participants. If you only have a small audience, you can ask each participant to introduce themselves and their position. If the audience is large you can ask a multiple choice question and have the participants answer by show of hands. If you are presenting early in the morning or immediately after a lunch break, utilize the so called “energizers”. They are used to boost the energy level of the audience and nudge their brains in order to prepare them for the forthcoming presentation. You can look up a great deal of readily available energizer techniques online. Showcase your personal engagement – mention something you’ve learned about the company/audience from their website or through your experience in the field. In most cases one or two sentences can work miracles to positively influence the way your audience comprehends what you have to say. For instance, if you have been through a similar presentation in front of a different customer in the same field – mention the key topics that have become relevant in your previous discussions.What are the similarities and differences related to what you are already familiar with? Body language – How should you behave during the presentation? Body language is the hidden success factor that we rarely pay any attention to. When we are preparing a presentation, we anticipate the possible questions, we research the audience, but we rarely give thought to the non-verbal signals that we send. We are trained to think about what we are going to say, but it is not often that we think of how exactly we want to say it. According to research, approximately 60% to 93% of our communication is nonverbal, including body language, tone of voice and facial expressions. This is why body language is a powerful tool you should be using to your advantage when presenting. Eye contact – Focusing on a single point during your entire presentation is boring and not engaging enough for your audience. When speaking in front of a large audience it is hard to establish eye contact with each individual, but it is important to do your best and connect with as many as possible. Make effort to run your gaze through all corners of the room also crossing through the middle as if describing an imaginary figure 8. This will make the participants in all sections of the room feel as if you are addressing them directly. If you are speaking in front of a small audience, be sure to make eye contact with each participant at least once during your presentation. Body posture – Regardless if you are presenting while standing or sitting, your body’s posture needs to be upright and open. This alone will make you feel and look confident, showing the audience that what you have to say is important and deserves their attention. If you have to point or turn to your slides, be careful not to turn your back to the audience. Stay open and engaged towards your audience. Avoid “blocking behaviour” by making sure that there are no obstacles between your body and the audience. Of course it is normal to hold a microphone, but having a glass of water in front of you or holding paper sheets should be avoided. Tone of voice – We are all aware how a monotonous manner speech can literally lull the brain to sleep. Change the tone of your voice as needed in order keep the attention and interest of your audience. The body language of your audience – Pay attention to the audience and in case you notice that a lot of people have their arms crossed, ask a question that requires a raise of hands. That way you will force them to “unlock” and draw their attention to the topic at hand. It is a good idea to end with a „call to action” slide immediately followed by your contact details.Your call to action should be concise and to the point – “contact us”, “buy this product”, “try this out”, “trust us”, “use this knowledge” etc. Do not let the audience be responsible for your next steps and don’t expect them to lead you to success. If you get no questions related to a topic, ask questions of your own in order to engage them. Here are some simple examples: „Was the presented material useful and up to date?”, “What are some of the challenges you are facing related to this topic?”, “Do you recognize potential solutions to your problems from the discussed points?”, you get the point. In case you did not receive a business card, it is ok to request and write down the coordinates of the participants – their name and an email that you can use to follow up on the presentation. After the presentation send a personalized follow up email to the participants in order to thank them for their time and participation. This requires minimal effort, but will separate you from the competition and besides, gratitude is a wonderful way to establish a lasting bond.